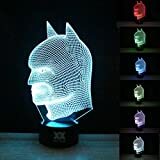 ★ Exclusive Eye-protection Technology: Innovative LGP (light guide panel) side-emitting technique prevents light flicker and harmful glare. More pleasant! Less fatigue! Ideal for an architect or designer's professional workstation. ★ Energy-Saving and Eco-friendly Lighting: High-efficiency 144 LEDs use 80% less energy than conventional bulbs and last for a 50,000 hours lifespan. This means a smaller electricity bill and a smaller carbon footprint. 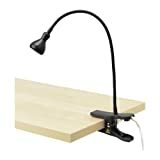 ★ Highly Adjustable Clamp Lamp: Memory function for 4 lighting modes and 6 dimming levels to suit your moods. 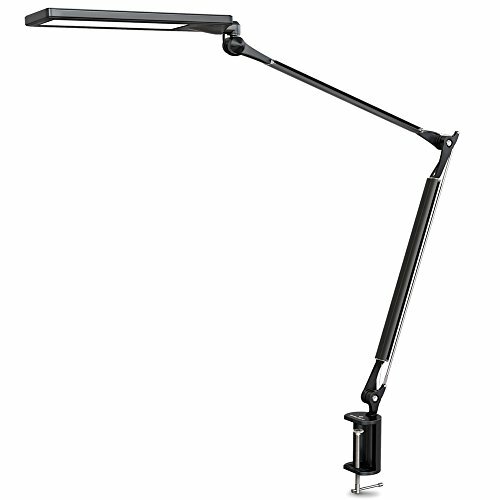 A rotating base, double-hinged arm and swiveling LED panel ensure you can shine a light on anything. ★ High-end and Solid Design: Made from premium aircraft-grade aluminum-alloy with sleek brushed finish, it¡¯s exact the best table lamp that you want and you ever had! Portable Clamp can easily be fixed to any desk top. ★ What You Get: BYBLIGHT E476, UL listed AC adapter, metal clamp, user manual, our worry-free 18-Month Warranty and Lifetime Friendly Customer Service. Why Should Choose BYB E4? 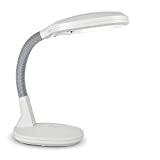 BYB LED desk lamp uses 144 power-saving LEDs that have a 50, 000-hour lifespan, allowing up to 20 years of use and consume 75% less energy than traditional incandescent lighting. As a professional LED lighting manufacturer, we believe in our products. That's why we back them all with an 18-month warranty and provide lifetime friendly support. CLICK THE "YELLOW ADD TO CART BUTTON" ABOVE to Enjoy New Lighting with BYB Swing Arm Desk Lamp!